Photo courtesy of Andy Gfy. 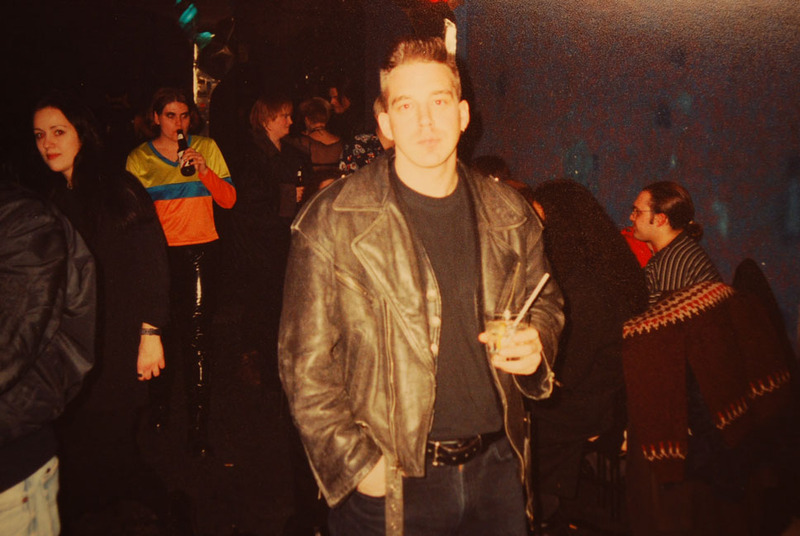 “Lex van Erem had the space and wanted to build a restaurant, but I convinced him it wasn’t a good idea because of its location,” recalls Violo, who had been a manager at RPM nightclub. “I told him it best suited a nightclub. He liked the idea and asked me to be his partner. 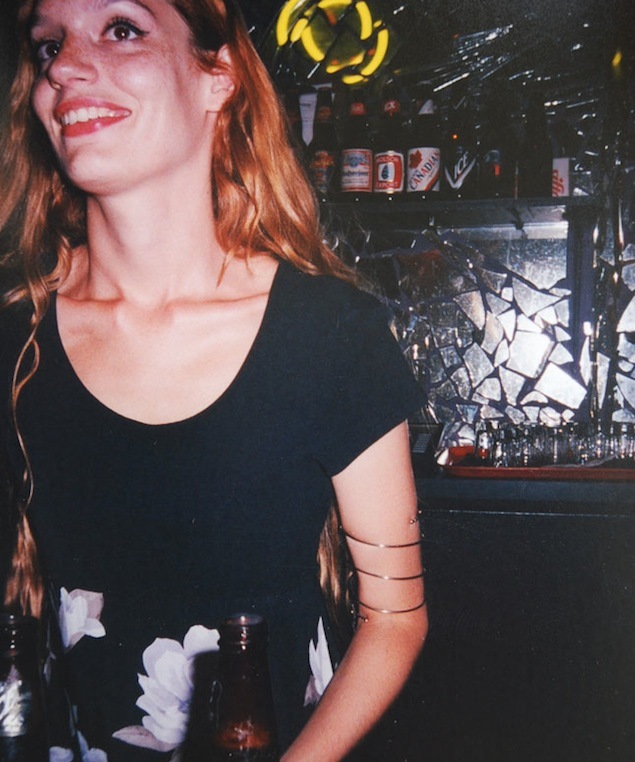 Artist and star Catch bartender Suzette Cooper. Photo courtesy of Andy Gfy. Inspired by the open approach of revered alt club Nuts & Bolts, which had closed just the year before, Catch 22 had a similarly industrial feel. 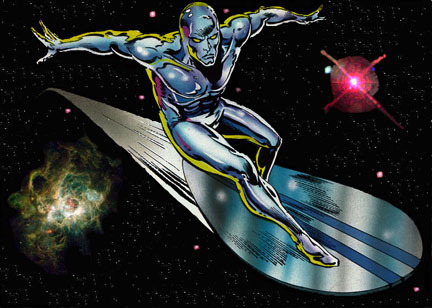 Customers entered through a steel door—having first passed by a painted mural of the Silver Surfer and a street-level caged window sometimes occupied by go-go dancers—and walked down into a mid-sized, L-shaped room. The long, concrete bar boasted a mosaic glass counter created by artist and star Catch bartender Suzette Cooper while the club itself was adorned in sheet-metal designs. This was the epitome of 1990s alternative chic, made more comfortable by seating areas, a pool table, and Catch 22’s notoriously friendly staff. Front area of Catch 22. Photo courtesy of Andy Gfy. The club’s raised DJ booth and shiny, slippery stainless steel dancefloor—which, contrary to rumour, did not come from Nuts & Bolts—were focal points and its sound was crisp. 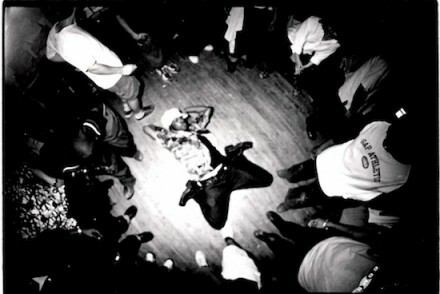 Catch 22 dancefloor. Photo courtesy of Andy Gfy. Why it was important: A decidedly underground dance club, Catch 22 was both influential and welcoming. A progressive approach to music programming lay at its core and, as a result, the crowds who came out were open-minded. Andy Gfy (left) with Rob the lighting guy. Photo courtesy of Gfy. Early on, the club’s programming included a punk Wednesday hosted and DJed by CIUT’s Mopa Dean, also the lead singer of the band Armed and Hammered, who frequently performed. 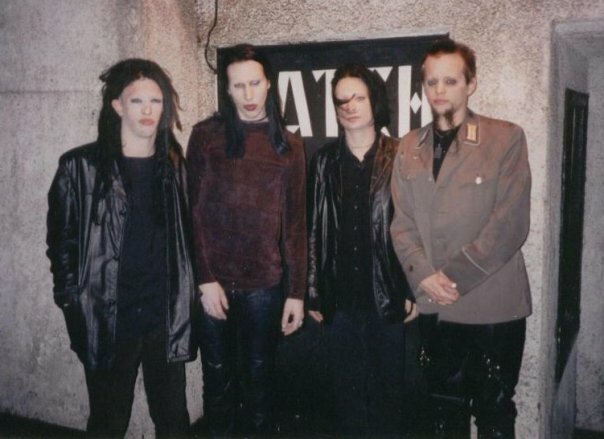 The night later gave way to a long-running alt and industrial night DJed by Rono Box and hosted by Andy Gfy. DJ Gio held down Fridays and Saturdays for some time. A popular and diverse DJ who also came to be known for his nights at The Phoenix and Klub Max, Cristiano had his ear to the ground. He and DJ Hanna epitomized the Catch approach with their Hell’s Kitchen Fridays. “Musically, we covered a lot of ground, from psychedelic stuff to big beat, techno, jungle, grunge, alternative—anything and everything that was not getting played on the radio except for some stuff being played on 102.1 [a.k.a. CFNY],” says Cristiano. 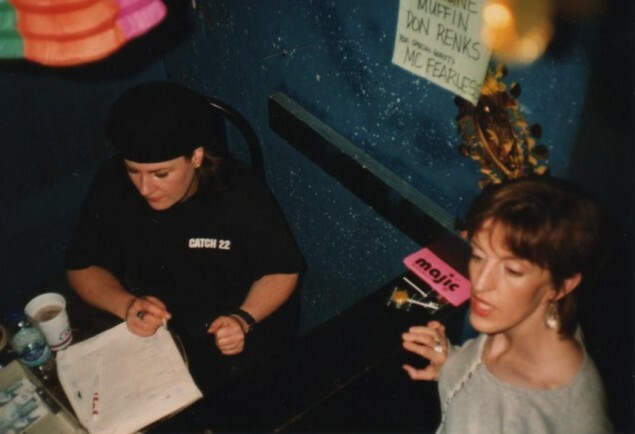 Full disclosure: I took over Fridays from Cristiano and crew in October of 1993, when I launched and DJed the mixed queer alt night BENT, which ran for almost two years. I appreciate the men of Catch 22 to this day for their support of my programming ideas, which ranged from live bands to cabarets, leather parties to film-fest gatherings, queer community fundraisers and loads more. The fashions at Catch 22 were varied. Photo courtesy of Andy Gfy. 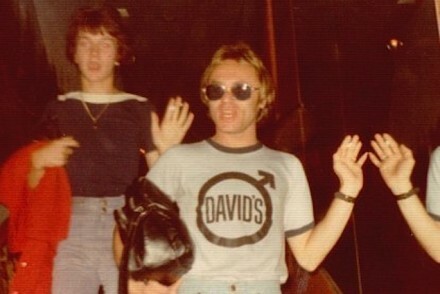 But the DJ who is most strongly associated with Catch 22’s early years and success is one Craig Beesack, a gifted club jock who would also become a beloved CFNY host. 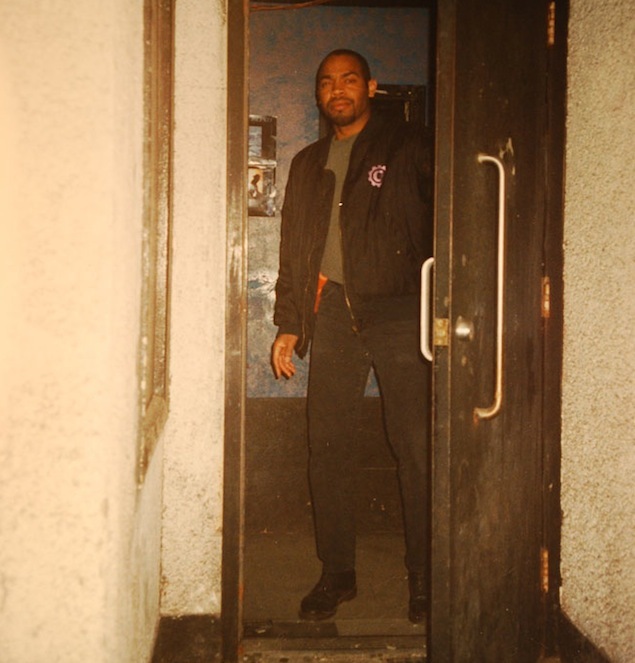 Beesack started off as the Thursday-night resident, working with infamous promoter Billy X, and was moved to Saturday nights in 1990. Cristiano had caught word that Beesack would soon host the program Warming Up the House on CFNY early Saturday eves—directly before Chris Sheppard’s infamous Club 102 live-to-air—and so the DJ would run from radio station to nightclub. He brought a sizable audience with him. “Beesack was the man!” agrees Don Berns, who was then CFNY’s Program Director. 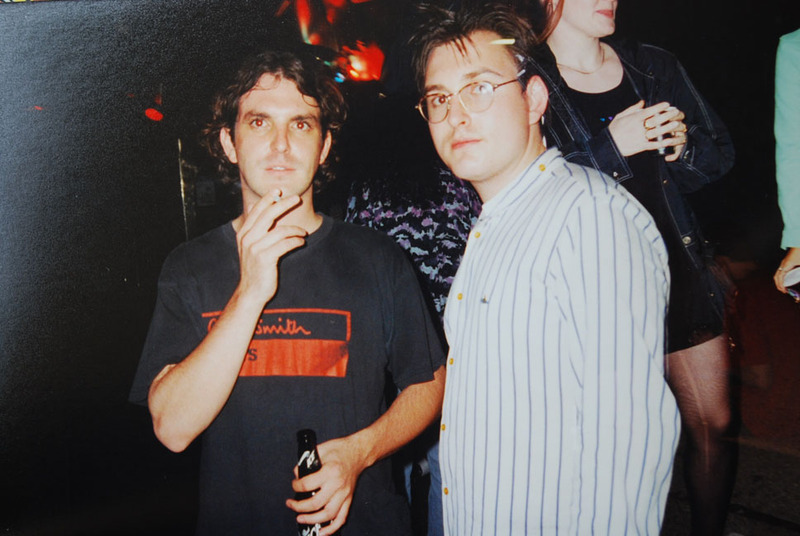 “Craig was a totally unique DJ who combined industrial and heavier four-on-the-floor techno into a seamless mix that gave his night at Catch a unique flavor, and also made it very different from his weekly alt-rock night at The Cotton Club in Markham. His knowledge of the music, selection, and skills in playing it were the reasons I hired him to create Warming Up The House. “I’m not a club person and have never enjoyed hanging out—except at Catch,” adds Berns, now an actor who also spins occasionally under his rave name of Dr. Trance. “Something about the underground vibe and the people there resonated with me. Catch 22 was the only club that had the vibe of a couple of underground NYC clubs I’d been to in the ’70s: dark, loud, cool people, cooler music. 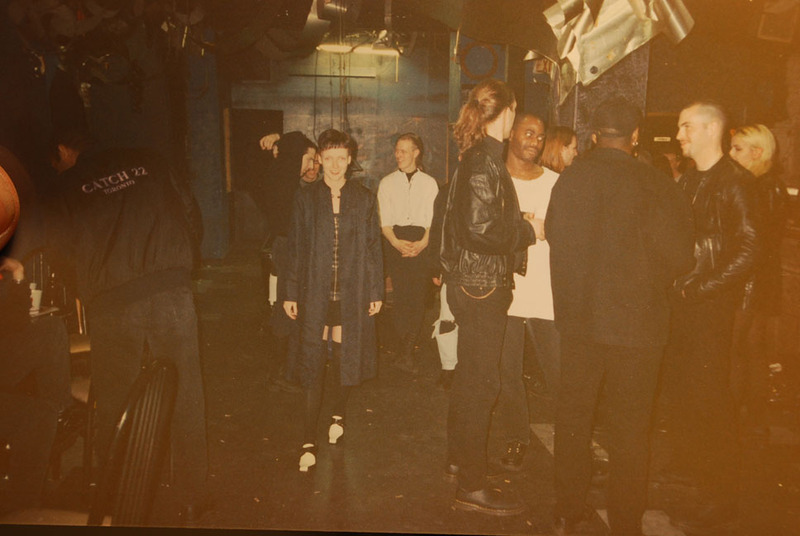 There was, in fact, a very pronounced overlap between some early 1990s alternative clubs in Toronto and the roots of what would become our massive rave scene. Catch 22 played an integral role, not only with the music its DJs played, but also by hosting electronic-music events that ran Saturday afterhours through to Sunday night. Iain McPherson a.k.a. 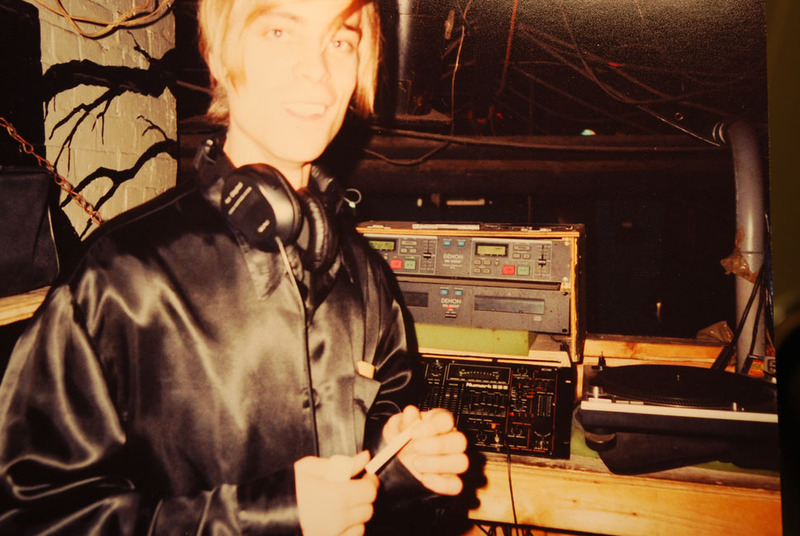 the pioneering DJ Iain who held residencies at clubs like Nuts & Bolts, OZ, and Limelight, and was a founder of the original Nitrous rave crew—initially came to Catch as a Saturday late-night rave DJ. 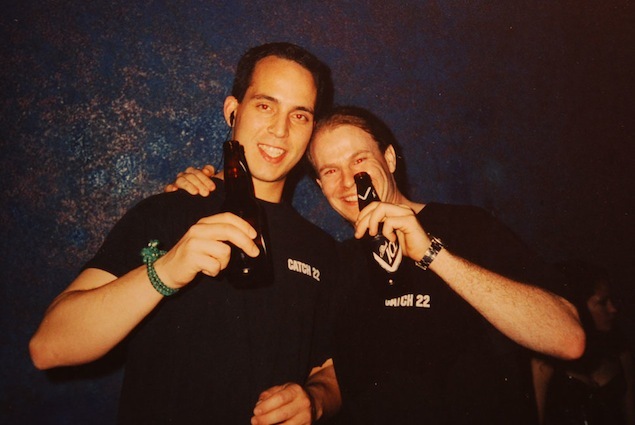 He became the main Saturday club resident for most of 1993, playing a mix of alt, industrial, and new electronic dance music alongside friend and innovative DJ James Kekanovich. 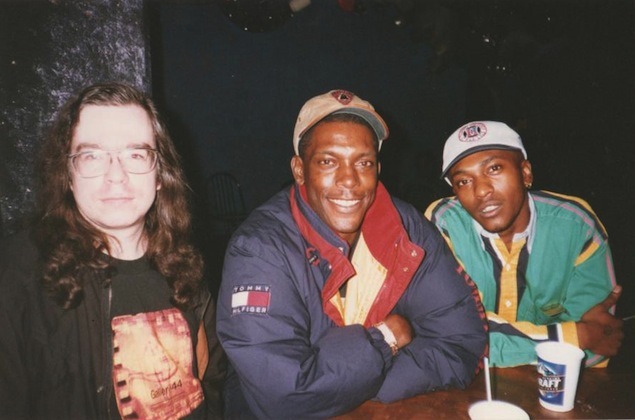 Chris Twomey (left) with UK junglists DJ Kenny Ken and MC Fearless. Photo courtesy of Mary Ireton and Joan Tulloch. 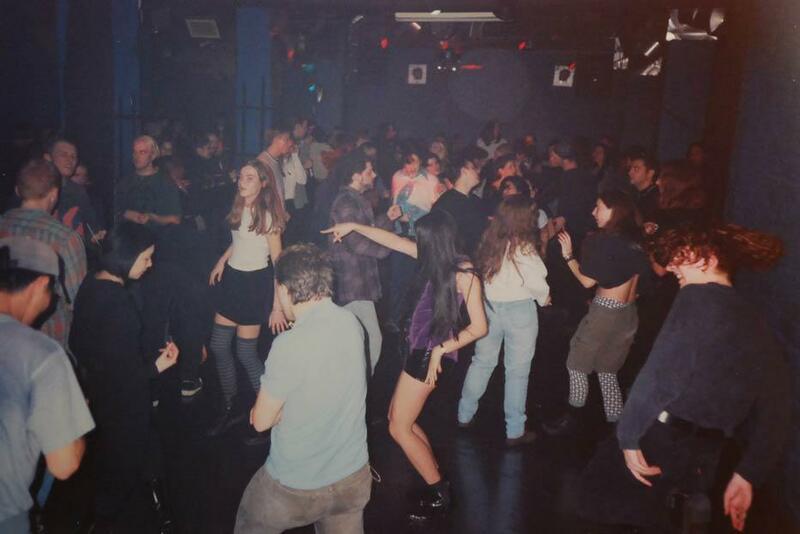 Not only did Catch 22 help introduce club-goers to new forms of electronic dance music—especially breaks, drum ‘n’ bass and techno—it also provided a licensed, stable space for raves when the scene was in its infancy. Mary Ireton and Joan Tulloch were both familiar faces at Catch. Ireton had worked at Cotton Club with Craig Beesack and followed him downtown to work as a Catch 22 bartender. Tulloch, a fan of industrial music, was a Catch customer from its first week. Mary Ireton and Joan Tulloch. Photo courtesy of them. DJ Mark Oliver (left) and friend at Majic Mondays. Photo courtesy of Andy Gfy. The two were given Mondays at Catch 22. 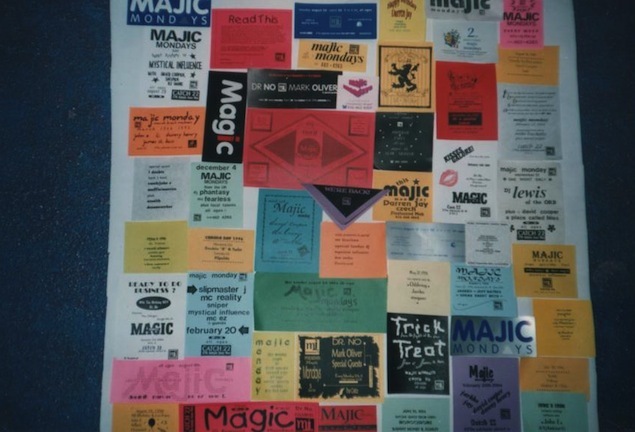 Majic Mondays were truly that, from the time they opened in September 1993 until the club’s closing in 1997. 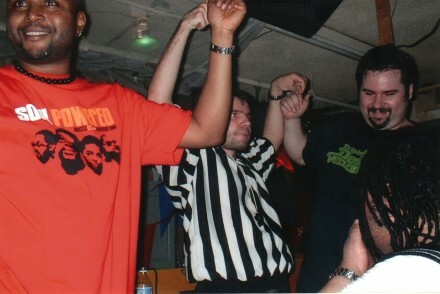 DJs Mark Oliver and Dr. No were the first to spin, but the line-up was different each week. Diverse local rave and EDM bricklayers like John E, Algorithm, James St. Bass, Tim Patrick, Mystical, Medicine Muffin, Terry Kelly, and Czech played alongside international guests who’d stayed in town after a weekend gig, including Mike Huckaby, Kenny Ken, Ellis Dee, L Double, and John ‘00’ Fleming. A collage of Majic Mondays flyers. Photo courtesy of Mary Ireton and Joan Tulloch. 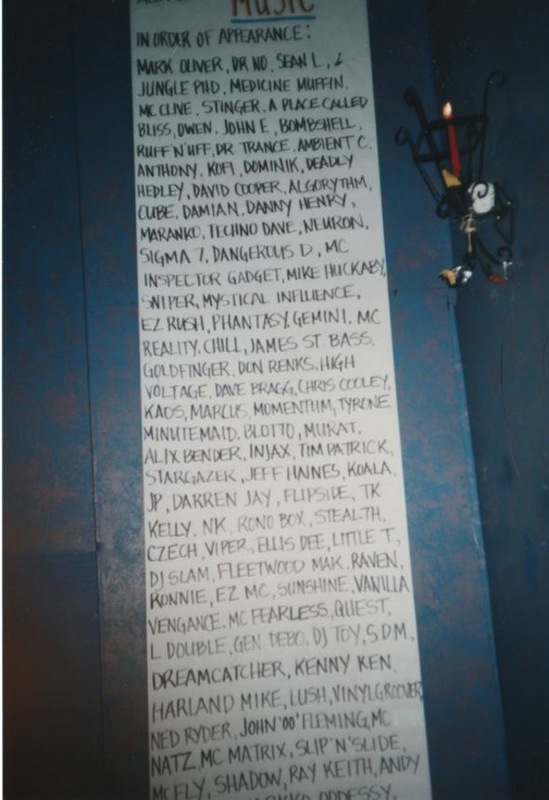 DJs who appeared at Majic Mondays. Photo courtesy of Mary Ireton and Joan Tulloch. Who else played/worked there: Catch 22 was home to a few generations of local alt DJs who would go on to break new music and set the pace wherever they played. “The DJs that came through Catch were some of the most influential in Toronto’s alternative scene,” agrees Mike Mckinlay a.k.a. DJ Michael X, who played a mix of industrial, goth, new wave, new rock, and Britpop at his X-Isle Thursdays and Rip Rig and Panic Saturdays. Die J Mars in the DJ booth. Photo courtesy of Andy Gfy. DJ Jürgen held down Industrial Strength Thursdays with the late Martin Streek, and then on his own, after Mckinlay’s X-Isle concluded. Mars—a Catch Friday resident after me—moved to New York and developed an impressive career as DJ, producer, remixer, and fashionista. Jeff Caldwell a.k.a. Jeff C was a much-loved Saturday resident later in Catch 22’s history, while many other top alt locals, including Shawn Macdonald, DJ Shannon, DJ Dwight, and Paul Dhingra all made good use of the Catch booth. Martin Streek (left) and friends at Catch 22. Photo courtesy of Andy Gfy. Paul, a.k.a. Rave Master. Photo courtesy of Andy Gfy. Like many I spoke with, McPherson’s former DJ partner James Kekanovich makes special mention of Catch 22’s venerable doorman Paul a.k.a. Rave Master. Staff would have to contend with only one big recurring problem. Flyer for the final event, courtesy of Christy Washer. 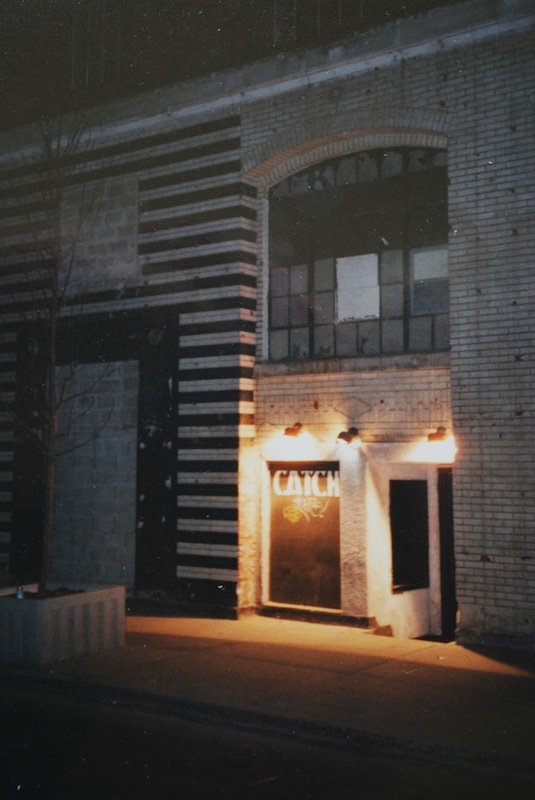 What happened to it: In 1997, Catch 22’s owners found that the building’s landlord would not renew the lease. The club closed with a bash on May 31. 379 Adelaide West was soon renovated into the office building that exists today. 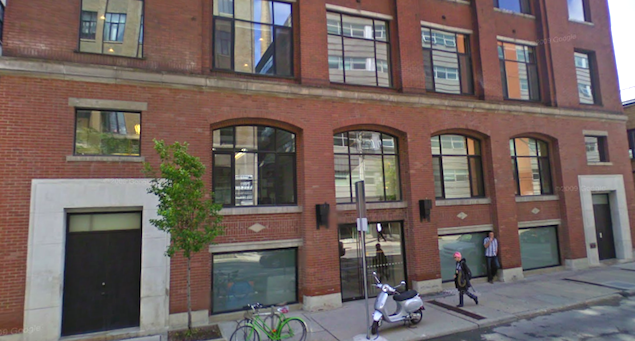 379 Adelaide St. W., as it appears today. 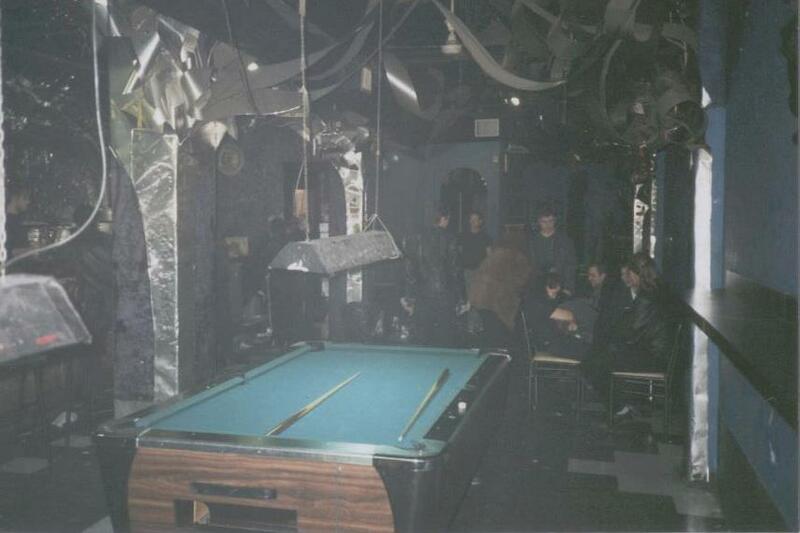 Pat Violo, in association with Liberty Group, opened infamous live-music bar and alternative dance club Velvet Underground at 510 Queen St. W. Many Catch 22 alumni can be found there, including Andy Gfy on bar and Paul a.k.a. Rave Master at the door. 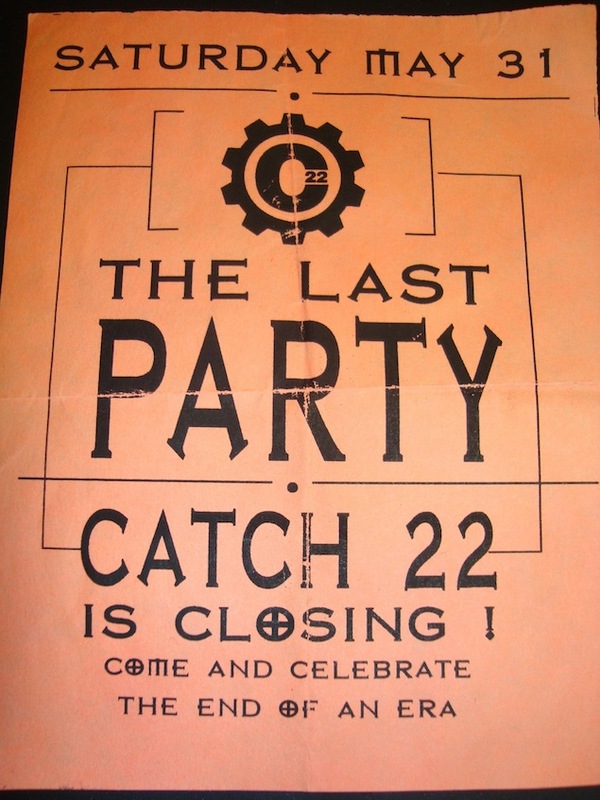 There was a Catch 22 reunion party held last year, with DJs Mars, Jürgen and Jeff C, with talk of future events. A related Facebook group keeps the Catch community connected. Thank-you to all those interviewed, as well as to Christy Washer and Tim Barraball for their contributions. DJ Mad Max was legendary working with Gio on alternatenuit Fridays he also had a Tuesday he was one of the originals love him!!! Mars I agree 100% with Michael X. Awesome article. You got it down. Makes me realize how much I really miss that place. Out of all the clubs I’ve ever done, it really was home. You’ve done it again Denise. I truly think you put all of the pieces together for this part of Torontos’ Alternative/Electronic musical puzzle. Thank you again for allowing me to contribute. Thanks for the feedback & for participating, Michael. Mars Denise, I’d buy that book!